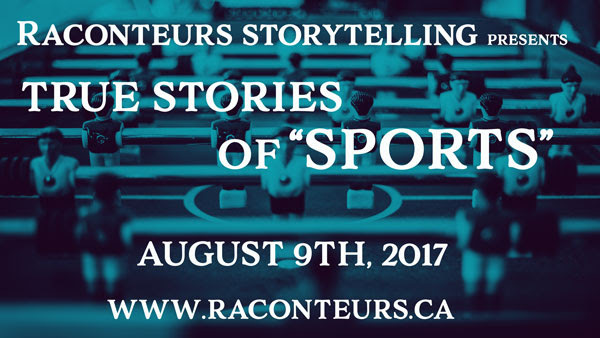 Scoring the final touchdown, discovering your inner jock, joining a local rec league -- We're sharing true stories of SPORTS this August at Raconteurs! Join us for REAL STORIES from REAL PEOPLE told LIVE on stage! Sudbury, July 6, 2017. The folklore of Franco-Ontarian Center organized the first storytelling festival in Sudbury, from 11 to 14 October 2017. The heart of the festival will be two storytelling nights with 4 storytellers each, the 13 and 14 October. On October 13, the evening is entitled "Our Roots". The second evening, "Our Cultures" will be multicultural flavor. Both evenings will be held at Collège Boréal theater. This first festival is held in celebration of the 150th anniversary of Canada, but hopes to become a recurring event. Special New Membership Rate Now Available! Thinking of becoming a new member of Storytellers of Canada? Our special 25th anniversary new members rate is now available! Only $25 for any new member (not renewing) until summer 2018! And don't forget that for this year as well, new membership fees for Indigenous tellers are waived.